The researchers learned that the health problems of older patients with cancer were linked to a poorer quality of life for their caregivers, including poorer emotional health. This fact is confirmed by many other studies, which show that caregivers may even experience more emotional health challenges (such as anxiety, depression, and distress) than the people they care for, the researchers added. What’s more, poorer patient health (measured by a geriatric assessment) was also associated with higher levels of caregiver distress. The average caregiver in the study was 66 years old, though 49 percent of the caregivers were aged 70 or older. The majority of caregivers were female and white (non-Hispanic), and 67 percent were the patient’s spouse or partner who lived with them. Close to 40 percent of the caregivers had serious chronic illnesses of their own. Nearly half (43.5 percent) said they experienced moderate to high distress, 19 percent reported having symptoms of depression, and 24 percent were anxious. Interestingly, older caregiver experienced less anxiety and depression and better mental health, said the researchers. However, they were in poorer physical health. Being female was associated with experiencing less distress. An income of more than $50,000 a year also was linked to having better physical and mental health. The researchers concluded that caregivers for older patients with advanced cancer are a vulnerable group. Thankfully, there are strategies caregivers can incorporate into their routines to help keep their own health and well-being top-of-mind. Talk with a healthcare provider about your own stress related to caregiving. If you prefer, you can ask to talk privately, without the person you care for present. Your healthcare provider may suggest ways to address the burdens you may experience with caregiving. There are strategies that have been found to help with specific tasks and challenges, decrease caregiver stress, and improve quality of life. You can learn more—and take a free and private assessment of caregiver health—at HealthinAging.org. This summary is from “Quality of Life of Caregivers of Older Patients with Advanced Cancer.” It appears online ahead of print in the Journal of the American Geriatrics Society. The study authors are Lee A. Kehoe, MS, LMHC; Huiwen Xu, MHA; Paul Duberstein, PhD; Kah Poh Loh, MBBCh, BA; Eva Culakova, PhD; Beverly Canin; Arti Hurria, MD4; William Dale, MD, PhD; Megan Wells, MPH; Nikesha Gilmore, PhD; Amber S. Kleckner, PhD; Jennifer Lund, PhD; Charles Kamen, PhD; Marie Flannery, PhD; Mike Hoerger, PhD, MSCR; Judith O. Hopkins, MD; Jane Jijun Liu, MD; Jodi Geer; Ron Epstein, MD; and Supriya G. Mohile, MD, MS. 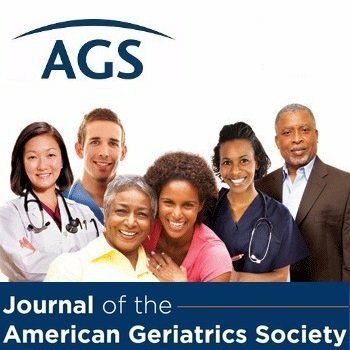 This entry was posted in Health in Aging, JAGS Research Summaries and tagged cancer, caregiver health, caregiving by HIA Guest Blog. Bookmark the permalink.